Taylor Trade Publishing an imprint of Rowman & Littlefield; lands a two book deal with entertainment dynamo Kathy Garver. Most fondly remembered for her starring role as “Cissy” in the long running CBS international television hit, “Family Affair”, Kathy Garver has also garnered critical acclaim in movies, stage, radio, voice-over animation, and audio book narration. Kathy’s tell all book titled - Surviving Cissy: A Family Affair of Life in Hollywood will be the first act with Taylor Trade Publishing, the second book which is in development and tightly under wraps - will announce in the coming months, which Ms. Garver is thrilled about. Obviously, Kathy doesn’t suffer from the sometimes-exaggerated maladies common to former child actors. “The hardest thing is being accepted as someone who has depth,” she says. “Fortunately my parents stressed education and normalcy all through my childhood and during my Family Affair days. In learning to think and work independently, I firmly believe in hoisting ones own sails. Surviving Cissy: A Family Affair of Life in Hollywood, touches deeply on all of Kathy’s experience while cutting through the toss and tumble world of Hollywood. Hollywood’s legendary Cecil B. DeMille was one of the first to recognize Kathy’s distinct talents. Originally hired for a small part in the epic motion picture “The Ten Commandments”, Kathy was noticed by the great director who had special scenes written into the movie to highlight the little girl. This followed her first film, The Night of the Hunter directed by Academy Award winner, Charles Laughton. Kathy was in born in Long Beach, California to Hayes and Rosemary Garver joining her sister, Beverly, and brothers, Hayes, Jr. and Lance. Beverly entered UCLA at a precocious 15 years old at the time Kathy started working professionally. During Ms. Garver’s teenage years, Kathy added radio and stage to her burgeoning film and television career. Ms. Garver was a freshman majoring in speech at UCLA when she was tested for a television series entitled Family Affair. Kathy, deemed “perfect” to star as “Cissy” with Brian Keith as “Uncle Bill” and Sebastian Cabot as “Mr. French” performed for five years in one of the warmest and most enduring series of the 1960’s and 70’s. 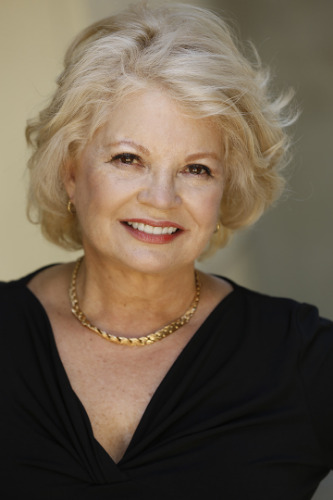 Today Kathy Garver is an accomplished and versatile actress, and sought after celebrity. Kathy has electrified the talk show circuit entertaining audiences with tales of her life long career in show business. Kathy is also very much in demand for her numerous vocal characterizations. She’s a stand out in the very competitive field of voices overs for cartoons, commercials, toys and audio books. She voiced, “Pepper" an automotive whiz in the Chuck Norris Karate Kommandos series and “Firestar”, a mutant super hero in the Spiderman and his Amazing Friends TV series. Ms. Garver has also won two Audie Awards, one for her narration of The Worlds Shortest Stories, the other in 2004 for her direction of Amy Tan in The Opposite of Fate read by the author. Her voice has been heard in Apollo 13 (which was awarded the Academy Award for sound), Ransom, Back Draft and Jingle all the Way, all directed by Ron Howard. Kathy now has her own family affair. She met her husband of 33 years, business executive David Travis, on a tennis court in Palm Springs – truly a love match. Their son Reid Garver Travis, now 23, continues the tradition of show business by appearing in national commercials, TV, movies and by doing voice overs. Having served on the board of the Young People's Committee of the Screen Actors Guild and as a volunteer for Book Pals, Kathy has used her experience to help guide new actors in the business. She is also in involved in such charities as Child Help (which aids abused children) Rose Resnick Light House for the Blind and Make a Wish Foundation. Ms. Garver appears at gatherings, luncheons and conventions to give motivational speeches about “The Power of Perseverance” and “Speak Clearly to Communicate Richly”. She is also in great demand for appearances, autograph shows and promotions through out the country. The deal was sourced and negotiated by Melissa McComas and Tsunami Worldwide Media. Taylor Trade Publishing will release Surviving Cissy: A Family Affair of Life in Hollywood by Kathy Garver in hardcover in the Fall of 2015 with audio, e-book and enhanced e-book to follow. For all her accomplishments and future plans, it seems Kathy's sails will be billowing in some very favorable waters for quite some time.